Featuring "Any Port in a Storm" and "Tightrope of Love"
Entering their second decade as an ensemble, Chatham County Line bring a deep reverence for traditional American roots music and timeless bluegrass instrumentation to insightful, poetic original songs that are powerfully contemporary yet rich with the complex resonance of their southern heritage. During the course of six studio albums and performances around the world, they have pursued a singular style that is entirely their own, yet connects with audiences from all walks. 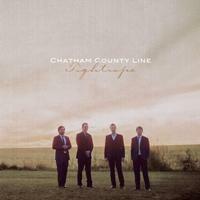 Chatham County Line are equally capable of classically hard-driving bluegrass and sparse, haunting ballads. The key to their sound lays in the close collaboration of the band's four members: Dave Wilson (guitar), John Teer (mandolin, fiddle), Chandler Hold (banjo), and Greg Readling (bass). This partnership enriches their latest album Tightrope (Yep Roc), which was forged over a year's worth of intensive rehearsals where they put every element under the microscope.